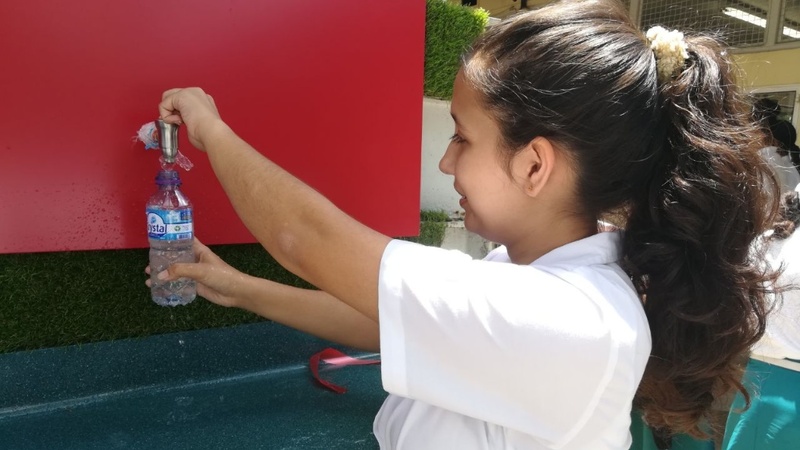 After seeing thousands of plastic bottles being used over a year-long period, the students at St Joseph’s Convent, St Joseph, realised that something needed to be done. 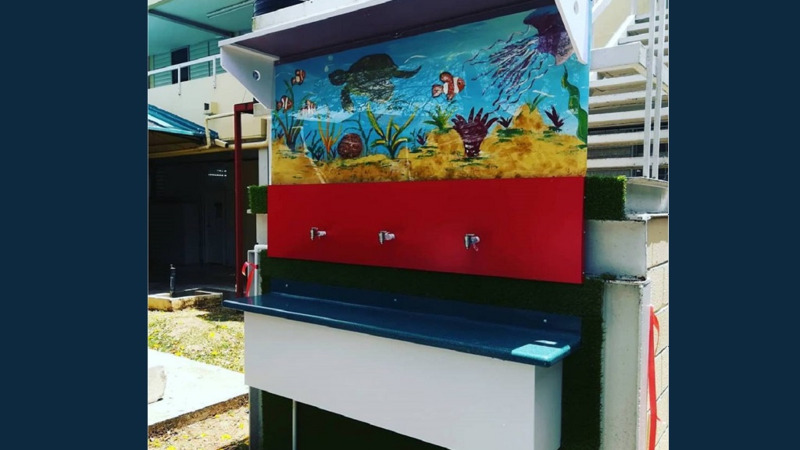 Students of the school’s Environmental Club decided to come together to create their very own water filtration system which would cut down on the use of plastic bottles. Biology and Environmental Science teacher, Simmika Seecharan-Bissram, said the project was done with the help of sponsors and bake sales. “The intention was to eliminate a plastic waste stream and we wanted a venture that would achieve total elimination of plastic waste. Seecharan-Bissram, who also has an MSc in Environmental Engineering, said the club sat together in October 2017 to brainstorm and came up with the water filtration idea. “We thought that a water filtration would be best. We wanted to eliminate the whole concept that purchased water is superior or of a better quality than filtered water, or at least challenge that idea in the minds of the students,” she said. With the help of money from the bake sales combined with sponsors who contributed materials, the group was able to get started with the project in January 2018. By May 2018, the school’s very first water filtration system was complete and ready for use. 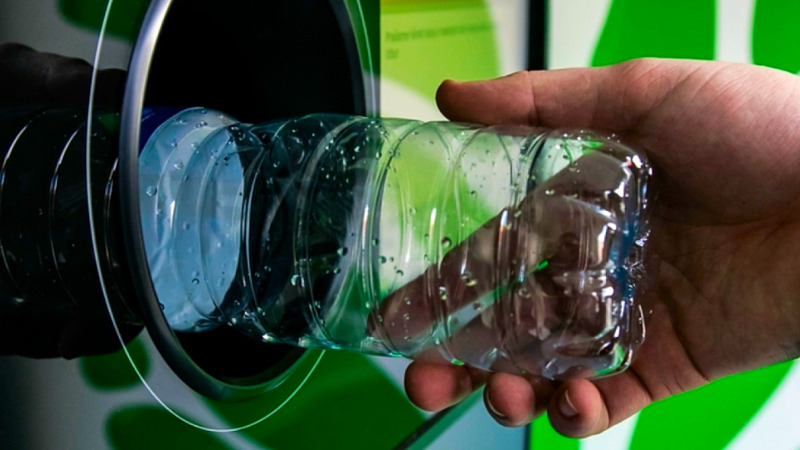 Seecharan-Bissram said although the idea is new and will take some time for students to get used to, so far there has been a reduction in the use of plastic water bottles. 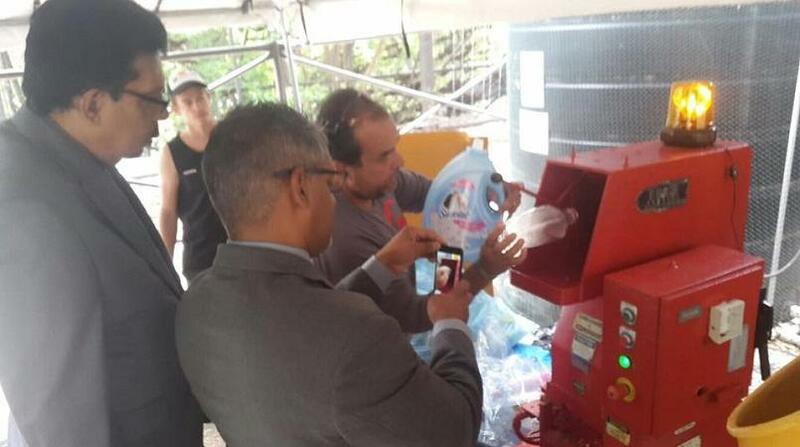 Students pay a small $10 fee and receive a badge, which allows them to refill their water bottles as often as needed. The money from the membership fee goes toward the purchase of new filters for the system. Seecharan-Bissram said this shows that tackling the problem of pollution can be done with determination and planning. Moving forward, the club aims to add solar panels to power the system, making it truly self-sufficient. “Our next phase of the project will be to install solar panels; we’re looking at either getting sponsors or holding some more bake sales,” she said. 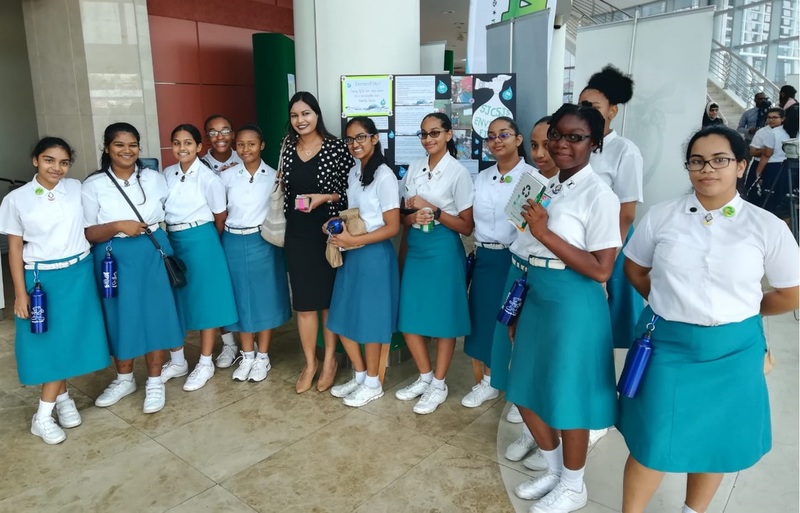 She also thanked parents who assisted with the project, which also won an award of merit at the Environmental Management Authority's Green Leaf Awards on Tuesday, June 5, which is also World Environment Day. Seecharan-Bissram said that the project is definitely something other schools can try to do as well. 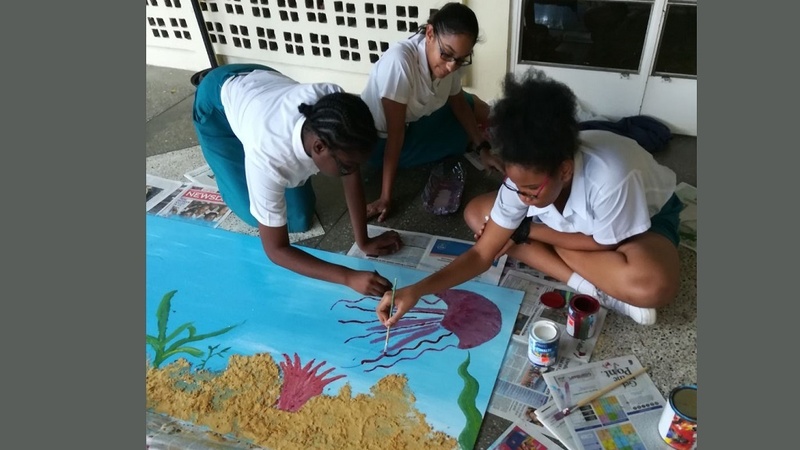 “Although we’re recycling, a lot of the students are disposing of the waste in the general school garbage, and a lot of those plastics end up in the ocean. Studies have shown that bottled water can also be harmful to health and can actually get into our system. 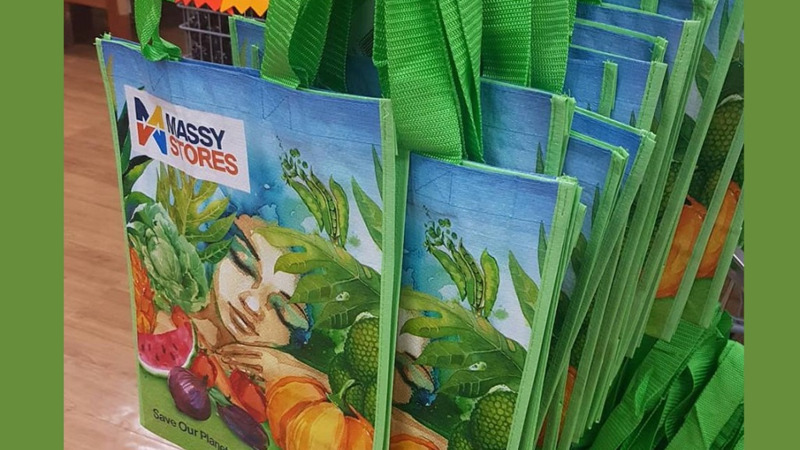 “We want to tell other schools that this is a feasible venture, because it cost us just under $5,000 to implement, and through fundraisers from the school, it is feasible,” she said. She also thanked parent Dr Parvi Olliviera who assisted with the project as well as club president Arya Olliviera and vice-president Hayley Ramesar. Seecharan-Bissram said the school’s next project is to tackle paper recycling.